25 years, the same amount of years that I have lived, we have all, for a quarter of a century, been part of an education that is unmatched by any school or University on earth. Sure, in 25 years we have seen many Presidents, Prime Minsters, and 2 Popes. However the greatest classroom we have all sat in at one time or the other was The Oprah Winfrey Show. Our master educator Oprah Winfrey in the twilight of her show, has become Bigger than any celebrity we have come to love. The classroom in which we have all sat for any one given reason or another is coming to a sweet and ever so graceful end. The curtain call of a program that defined the 20th century and continued to entertain, motivate and educate straight on through to the 21st century. Oprah undoubtedly will be with us for a while, now with the Launch of OWN: The Oprah Winfrey Network. But the lasting impressions, where the larger than life Lessons learned on a platform, that will have a mighty big chair to fill. 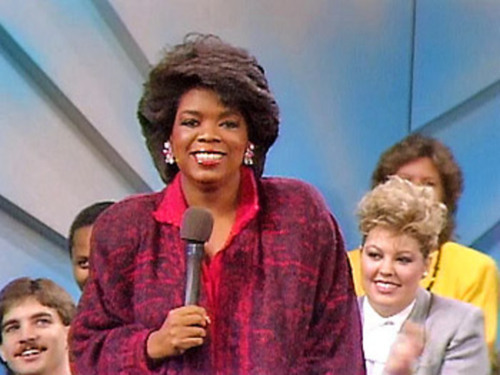 The Oprah Winfrey Show itself has developed a Persona and profound place in the hearts of many Americans, who for 25 years never missed a moment. Oprah herself, will remain in our lives, but the fact that the Platform in which launched an empire as large as OPRAH INC., and exposed us to an individual who dared to question and learn along with us, is truly the end of an era, that spans many generations. The Show premiered on September 8th 1986, I was born on December 9th of that same year, for the entirety of my life, thus far, The Oprah show has been a guiding tool for myself as a writer on the destination of who I hope to be,” A Master Communicator”. Through the years, as a child, i would look forward to coming home from school and turning on NBC 6 at 4pm sharp, to listen to the lesson or simply be entertained by the show. Some of my earliest memories where watching the show as young as 4 years old. As a adult now reaching my 25th birthday, i look back at some of the lessons learned, and the majority of those lessons whether Good or Bad, were topics featured on the Show that was guiding Me to the path of Understanding. The ability to question, is a hard lesson to learn. Curiosity is the fine thread the holds us all as Humans together, What we are doing? How are we doing it? Do you hear me? Do you see me? What Defines me?, WHO AM I? are all questions that Oprah so eloquently encouraged each and everyone of us to ask in our waking lives with this show. The show has taught so many lessons that other shows where not able to match. 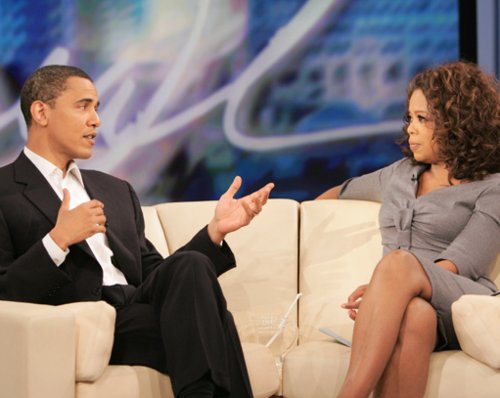 The Talk show Genre just like soaps have suffered with ratings, however the Oprah show remained at the top, due to those profound questions that where asked since the start. No matter how famous one may become in life, or your profound actions in life, we are all human. We are beings in a life that teaches us many things by experiences. 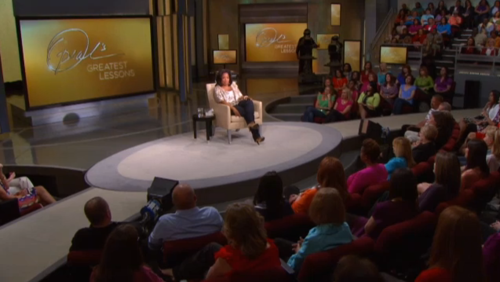 The Oprah Show gave a women a platform that had the ability to reach many different people for one hour each day. Oprah herself is just like us, living a life of trials and tribulations, but her candid show, and graceful ability to communicate it as well as broadcast it on the Show, is the heart beat of why The Oprah Show has lasted this long, and more importantly the reason seeing this show take its final bow brings a tear to many of eyes around the world. Oprah will remain our Queen of Talk, but the classroom in which her great lessons where spoken are closing its doors. The Oprah Winfrey Show, will forever be our classroom, year after year we saw familiar faces return such as Nate Berkus and Suze Orman and everyone’s best Friend, GAYLE, and we shared and reacted to big events such as Columbine High School and September 11th 2001. In many ways we have grown attached not to Oprah herself, but a show, where we as Americans could gather together and share on ideas, meet with old friends, and experience life’s little lessons. The countdown has finally reached a number we thought would never come, 10, only 10 more shows, 10 more talks, 10 more lessons, and a stage that became a platform, that for all of us called, somewhere to run, somewhere to get answers, or simply, somewhere to escape, will be Over. Maybe this is a lesson in that of itself. Its reminds me of that very special Oprah Show guest, who spoke of her story of finical crisis and personal hard ship who had purchased a pair of Oprah’s shoes, and in times where she felt alone, and had no one to talk to, she would stand in Oprah’s shoes, then when invited to be on the Oprah show, she let Oprah know, that see didn’t need the shoes anymore, for she was STANDING on her OWN. Well maybe its time, its time to say goodbye to a show that taught us so much, makes me think how maybe, just maybe, We are all standing on our OWN, and the Show where our shoes, that in time of need or even boredom, and didn’t have anyone to talk to, we WATCHED ,we learned, we shared we LOVED. 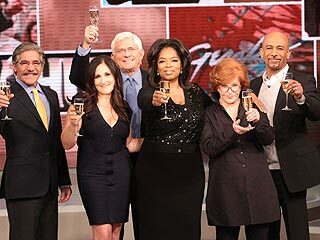 -Farewell to The Oprah Winfrey Show!